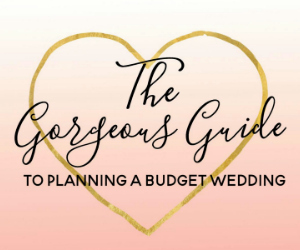 One of the most common things I hear when ladies start planning their weddings, is the panic about how much they are going to have to spend on their wedding dress. As a dedicated lover of bargains and beauty (always at the same time!) 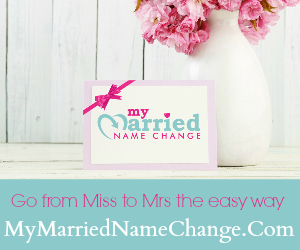 I have made it my mission to keep on budget for my own wedding whilst still having what I want. 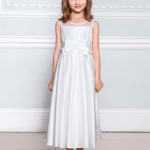 I know that if I see a stunning Vera Wang dress for £5k, that I will be able to track down an affordable version – or have one made for me - to ensure that I can have the look that I want on the money I have available. 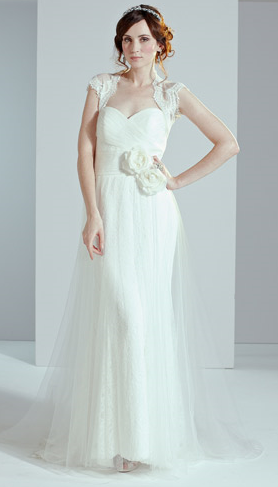 Here are five lovely budget wedding dresses that you will be able to pick up for under £700. I love this dress for the oversized flowers on the waist and the full flowing tulle skirt which adds sophisticated volume and a flowing romantic look. Pair with a cute little shrug – like this one for £50 for a demure look. This dress is pure drama! With a beautiful full skirt balanced by a fitted and flattering bodice, this will create a stunning bridal look for your wedding day. Gorgeous enough to wear alone, or pair with some bling to add sparkle with a belt or necklace. This dress was inspired by the crisp lines of origami paper art and has beautiful pleating around the bodice which layers into the pearl and bead encrusted waistband. With a rich satin fabric finish and an inner netting layer, this dress also comes with detachable straps should you need them. This is a beautiful take on a classic design – plenty of soft chiffon and eye catching embellishment makes this a glamourous budget friendly wedding dress choice. I love this dress for the price and the individual look. 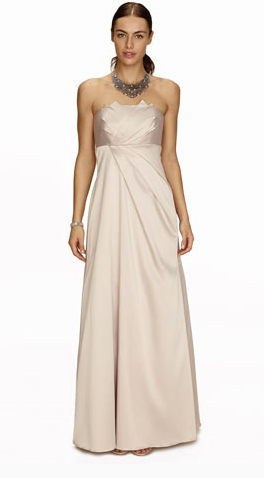 Although classed as a bridesmaid dress, I think it makes a really different looking Wedding Dress choice and the champagne colour is super flattering. 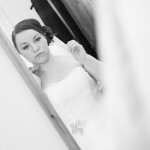 With so much variety around and at such great prices for Brides on a budget, you really don’t have to compromise to get the wedding dress you really want with the money you have available.